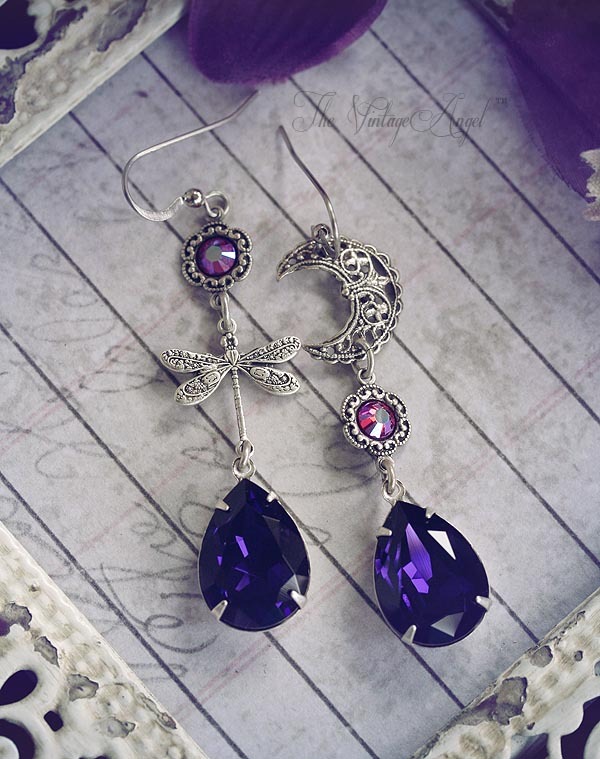 Asymmetrical celestial whimsy in aged silver paired with Swarovski deep purple pears and irridescent crystal rhinestones. 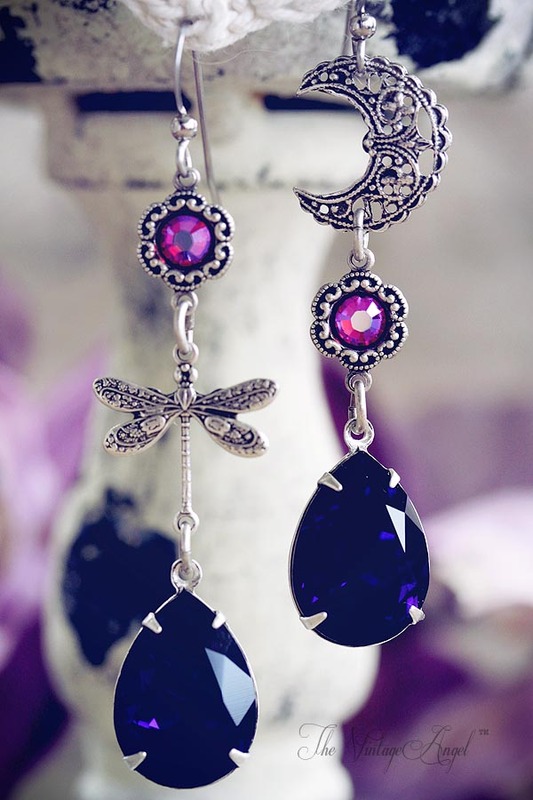 A Victorian style dragonfly, a filigree crescent moon and pretty rhinestone connectors make up this unique pair of asymmetrical earrings with surgical steel hooks for pierced ears. 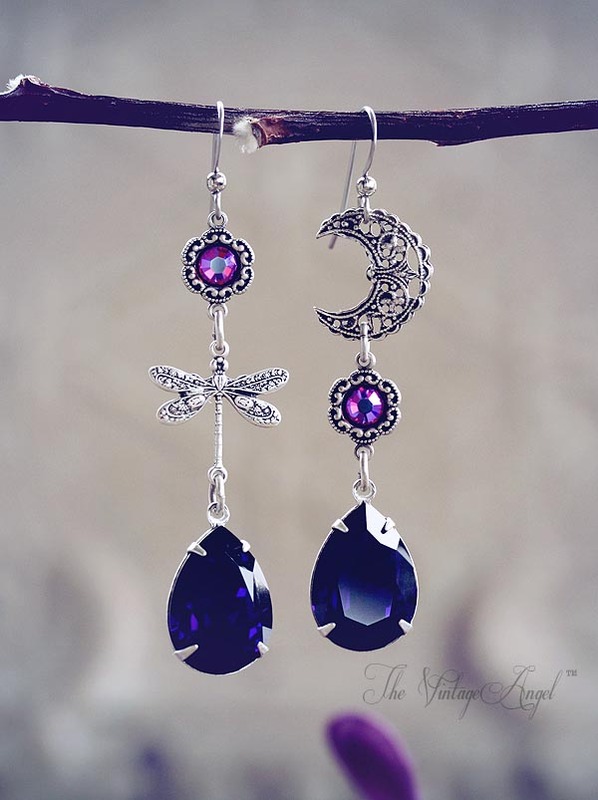 Surgical steel hooks (we can not switch out hook styles on this pair), components are antique sterling silver plated brass (lead and nickel free). 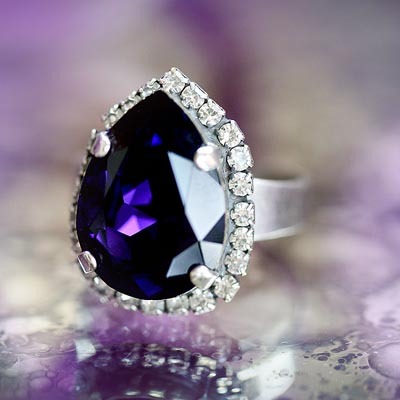 Crystal pears are Swarovski crystal. About 2.75" inches long including hooks.